New York Times best-selling author C. J. Box delivers a novel starring Joe Pickett's sidekick, fan-favorite Nate Romanowski. 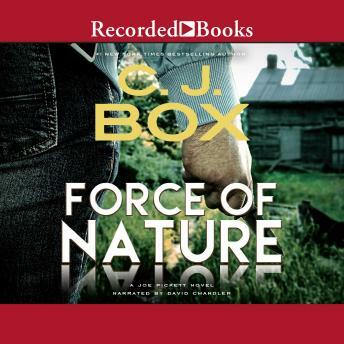 In Force of Nature, trouble comes calling from Nate's past in the Special Forces, and the colleague he once called friend won't stop until those who know a deadly secret are silenced. Everyone close to Nate is at risk, including Joe and his family. To save them, Nate will have to convince law-abiding Joe to finally break a few rules along the way.